Life will happen to every one of us, there will come hardship, trials and tests. There is that particular test that will wear you down to the point of giving up, and you regret the day you were born, a day much like Job had, or even like that of Elijah. It does not matter who you are, what office you hold, how powerful and strong you may be, or even which denomination or religion you belong to. We… all will come to the place where we need to be encouraged; where we wish somebody would pour some courage in; or come along side and walk us through the darkness and the uncertainties. 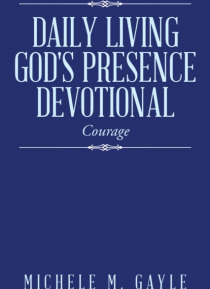 This devotional is design to do just that; put courage into you and to walk you through your season of tests. It is structured to encourage, strengthen, and revive you, that you will come through your particular difficulty without set back or loss, you will come out on top, and all the better for what you have gone through.